The Homz durable durable, stackable tote is superior in quality. It is made from shatter proof, dent and blemish resistant material that comes with a lifetime durability warranty. Made for use in varied climates, this stackable storage tote is made with weather resistant material, allowing it to stand up to extreme weather elements. The body and lid are designed and made for superior stacking support and include the durable handle design. 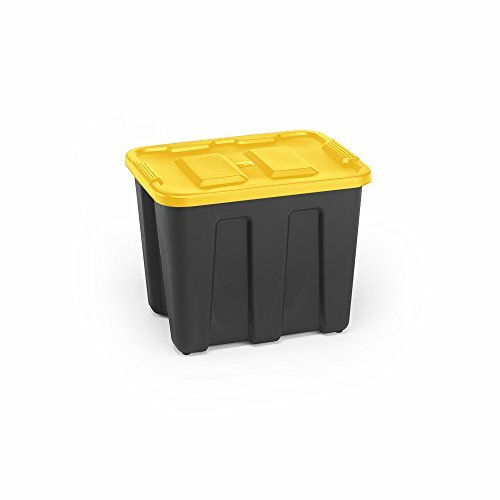 It's distinctive black base and Yellow lid make this tote easy to locate in your storage area. Available in two sizes.